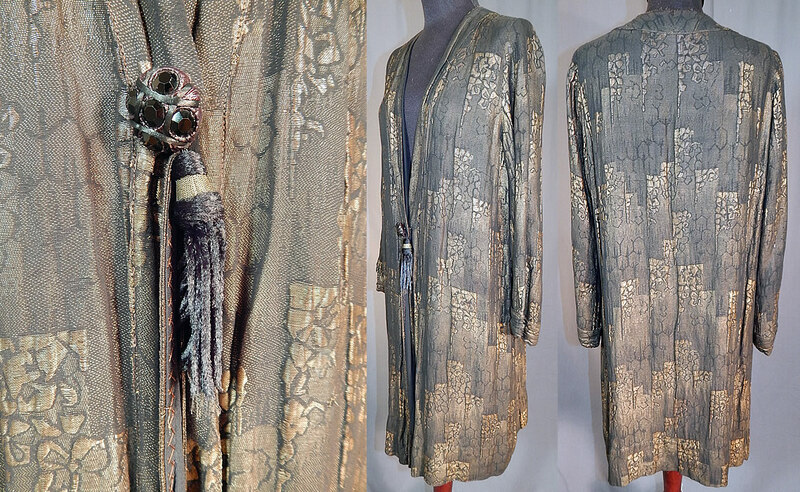 This vintage Art Deco black silk gold lamé long flapper coat jacket tassel trim dates from the 1920s. It is made of a black and gold metallic lamé thread woven fabric in an abstract varying up and down steps resembling a city skyline and floral designs. 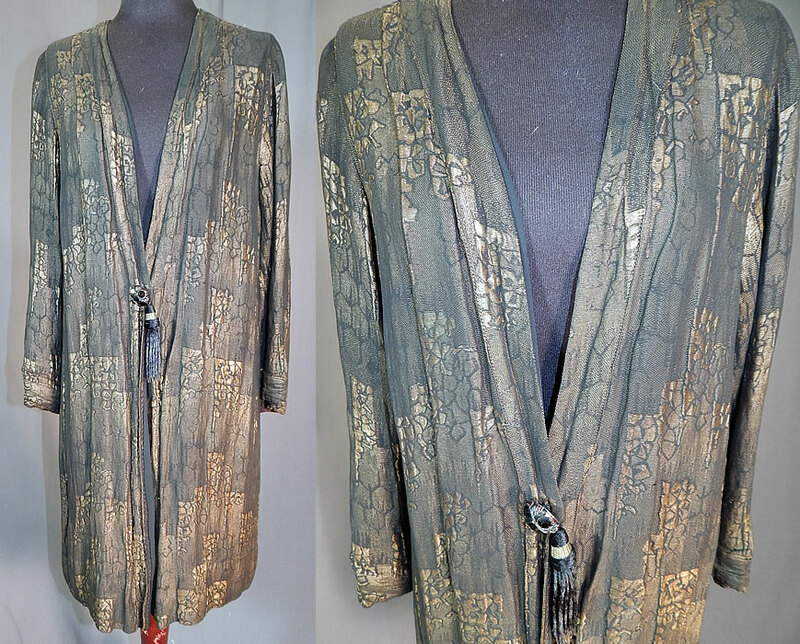 There is a gold woven silk, black faceted glass beaded button and black silk tassel trim hanging down the front from the snap closure hidden underneath. This fabulous flapper coat jacket has a loose fitting long mid length style, with a V front plunging neckline, long sleeves, single snap closure front and is fully lined in a black silk fabric inside. 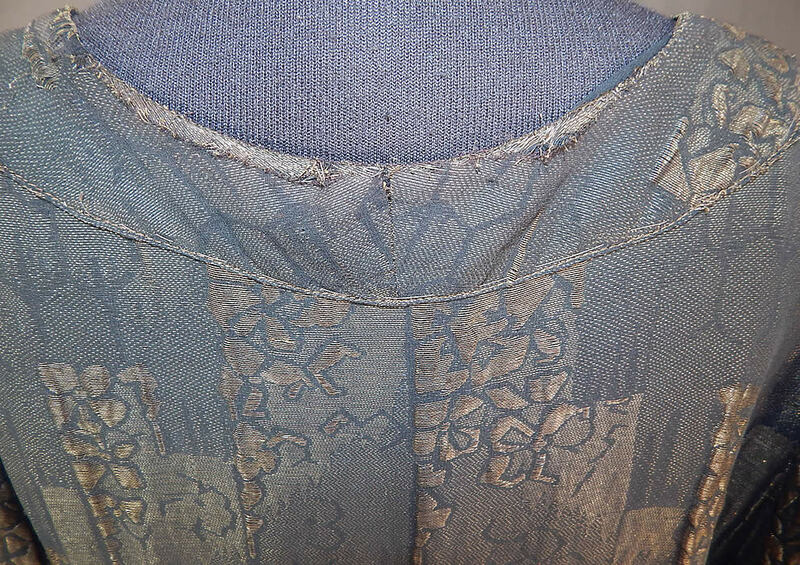 The coat measures 35 inches long, with a 40 inch bust, 36 inch waist and 21 inch long sleeves. 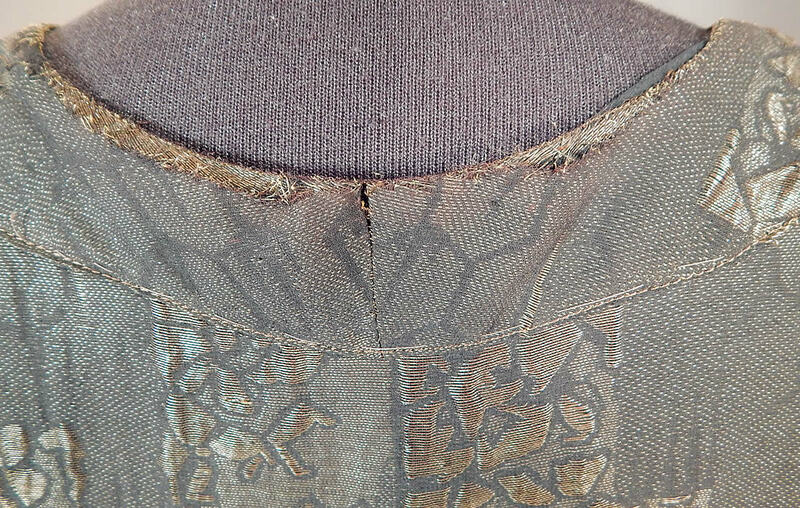 It is in good condition, with only some slight fraying along the back neck (see close-up). 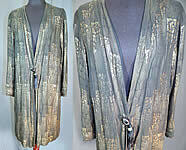 This is truly a wonderful piece of wearable Art Deco textile art!